Hello, sweet friends! Let’s grab a cup of coffee, sit down, and chat for a bit. While that should be obvious, sometimes we need reminders. It’s freeing to have that assurance again, of where to put my energy and time first, without guilt. But it also has left a lot of questions about everything else. I kept trying to find clarity and see where my other “roles” could fit into my days and the more I tried, the harder it got to find it and the more the guilt and mental stress piled up. The quote, “You can’t see the forest for the trees,” kept playing through my mind. 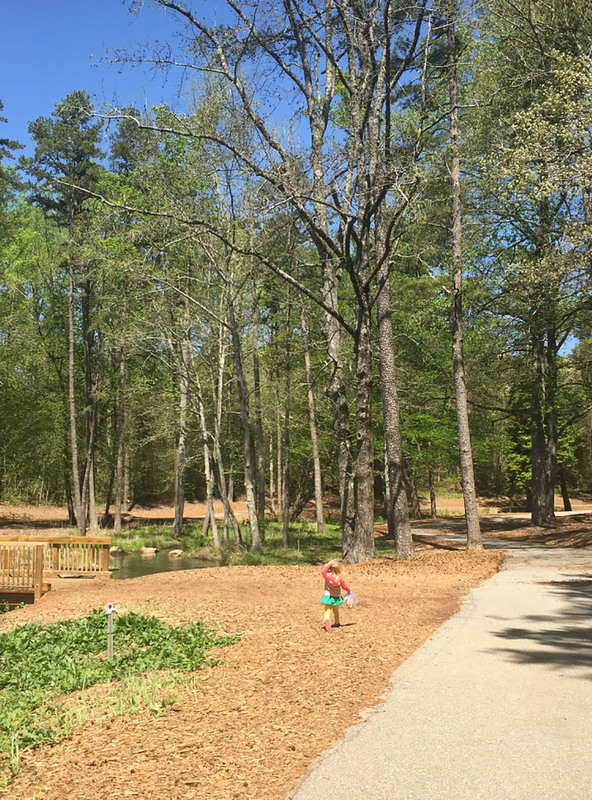 We joined my dear friend, Eileen (A Creative Day Blog) and her girls for a trip to the zoo at the beginning of April, as much of this was building in my mind. She is such a wise friend who understands this blog/social media world, the pull of a believer and mama, all the pieces of this seemingly complex puzzle I am trying to work. And after listening to my heart for a few minutes, here’s what she said. And my reaction? No! There’s no way, I’m in this for life. People depend on me. When you feel that tied to something, that you couldn’t let it go if God told you to shift directions, that’s a very dangerous place to be. And I realized then that in the midst of this, the midst of trying to balance it all, trying to find spots to fit in work, being so behind that when you do find ten minutes you’re crippled to act, battling the guilt and stress that follows, there is zero room left for what God intends my work to be. In the last year and a half, God has changed us so drastically. My vision for and understanding of work had to catch up. And the tension I’ve felt over the hunt for clarity had run me dry. I knew that was exactly what I needed. I was scared to do this. It felt like both a risk and a necessity at the same time. But I knew that I had to loosen my grip, open my palms, and hand all of this over to the Lord. I felt Him calling me to make changes. Maybe in how I work, maybe in what it looks like, or maybe just in how I view it. And this rollercoaster I’ve been on this last year has shown me that I can’t make those changes without space to see. I can’t see the forest for the trees. I want to write just to write, not with the blog or anything else in mind because writing heals my soul. I want to read a few good books that are life-giving about the kind of life I want to lead. I feel so off balance in many areas. I want to reclaim our rhythms, our routines, our home. I want to remind myself what’s of utmost importance and value right now and find ways to prioritize it. I’ve got to rid my life for the next bit of time of all non-essentials. Heal my soul and my heart and my mind. Make space to remember the goals, the vision, the purpose, and the trajectory. Then and only then can I begin to add things back in. Then and only then will I be able to see what fits and what doesn’t. When I pull back from walking amongst tall trees and look at the forest as a whole, I believe I’ll see things differently. I’ll be able to see where there’s room to plant more trees. I’ll be able to see the trees that are dying off and need to either be cut loose or tended with love and care so they recover. But I can’t see the whole forest while I’m down, underneath the heavy canopy, walking through it. And y’all, I can say that this time away brought me immense clarity, even more than I’d hoped for. Not only did God clear up the fog surrounding work, but so many things I’ve been wrestling with for some time about my deep giftings and callings, the future, and even how I see and interact with the world became clear. Because when we choose to step away, when we say no to the constant pull of social media to engage!, engage!, when we pull back from the demands of the world and remember that our heart is what’s important, our mind and life suddenly get quiet. And then, despite life’s demands, there is space. Little nooks and crannies of time can be seen. I found myself more present in moments with my kids and others because a work to-do list or something I just saw on social media wasn’t playing in my mind. I want to share this with all of you for several reasons. Obviously, I’ve been much quieter around the blog and my social channels and the “hope you’re doing okay,” e-mails need some sort of addressing. But also because I have this feeling some of you may need the same. We live in a crowded world where “busy” is a badge of honor. The simple, most important things get clouded by all of the loud voices around us demanding our attention and I’ve come to see that if we aren’t careful, if we aren’t intentional gatekeepers of our lives and homes, we can get a little lost. For each of us, stripping down to the essentials looks different. It may mean stripping down to just your day job. It may mean taking a month off of certain extracurricular activities. But I think for many of us, a break from social media is desperately needed from time to time. It is freeing and perspective shifting. It’ll help you step back, see your forest, and really take in the view with fresh eyes. I did a few intentional things during this time away that I believe provided much of the clarity I found. Obviously, the first key is making space. Without space freed up, I don’t believe these things will take root and grow. 1.) GET RE-ACQUAINTED WITH YOURSELF – Toward the end of my time away, after much reading and prayer and space-making, I sat down with my journal to make a very intentional chart (or list) about myself. Many of these things should be obvious, but so often when we’re battling work demands and people pleasing and others’ opinions, it can be hard to see yourself so clearly and to embrace it. I wrote “Lindsay – Who I Am and What Matters Most” in the center and circled it. Then, without too much thought or second-guessing, I started writing things all around it on the page. It felt a little silly and obvious at first, but I quickly saw what a necessary exercise it was for me. I thought first about that old story of the professor who keeps filling up a jar of rocks and asking his class if it’s full. The big rocks have to go in first and then there’ll be room for smaller rocks, sand, and even water, but if we fill it with the small things first, the big ones don’t fit. First, I wrote down my big rocks: my faith, being a mother, being a wife, being a friend. People come first. But then, I began writing all of my smaller rocks. I thought about where God has gifted me, things He’s led us to see as important (beyond the non-negotiables of faith and life) and after about ten minutes, I pulled back and looked at the list. I thought over everything I wrote again and nothing needed to be erased or added. Then, I noticed something really beautiful. All of these pieces of me that seem random, that I’ve been trying to unsuccessfully fit in like a mis-matched puzzle piece, that I’ve been questioning, go together. They truly are pieces of the same big puzzle of who God is making me to be and it was clear to me in a new way. And it gave such clarity and purpose to this blog and what I call “work.” It showed me how it all fits, how God is creating it to be. And it helped me to embrace it, my current season’s challenges included. 3.) RE-ESTABLISH WHAT IS IMPORTANT NOW – The last thing I did was re-establish in my mind what’s most important now to lay building blocks one on top of another to follow the path God is laying out. I made a list of my non-negotiables considering what matters most. That list included mainly things for the kids, but it also included self-care and fostering my creative outlet because I’ve come to believe both of those are critical in me being the kind of mother God designed me to be. I then took a good look at our rhythms and days. I tweaked and brainstormed my rhythms with the kids, with our family culture and vision in mind. And that process helped me to see where additional things can fit. I realized that I need a lot of structure: set office hours and that also means set social media hours and phone hours. I’ve nailed down exactly what I do when and so far, this new system has been amazing! It’s helped me to focus a great deal and maximize tiny bits of time I have. But it’s also helped me feel free and present in all of the other hours. I’m planning some “Day in the Life” posts soon about how all of this is working now. Following this structure now is helping me to establish habits and then I can tweak and be flexible where necessary. Overall, this time away has been one of the most life-shaping and critical times I can remember in my life. 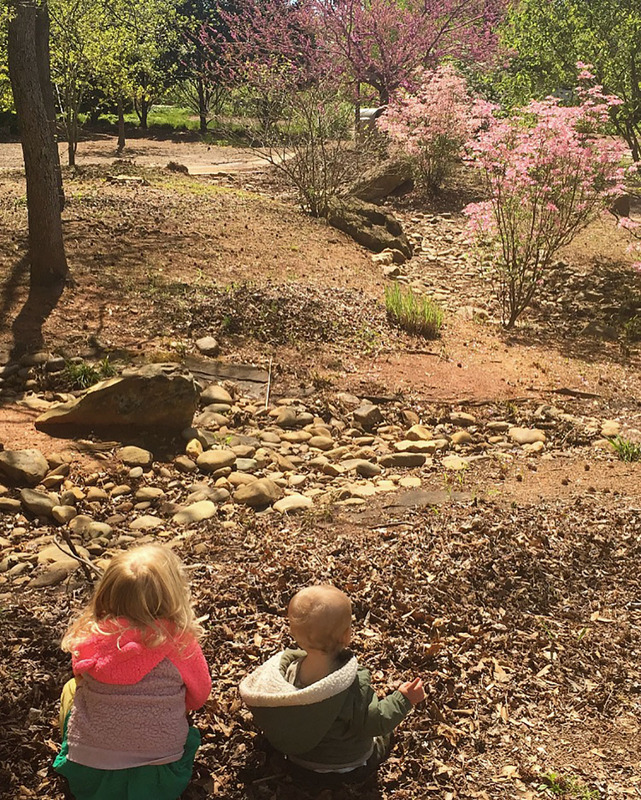 After quieting the noise, I spent days outside with my children, I read about homemaking and discipling my heart and theirs during naptime. I drank cups of hot coffee and stared out my window at my favorite tree. While it was so healing for my heart and soul, it changed so much about how I view things and how I will move forward. I think a critical realization for me was that I keep compartmentalizing my life. I have life with the kids and I have “work.” Subconsciously, I was seeing taking care of the kids as almost extracurricular and productivity with work is what gave me value. No wonder I was constantly feeling like a failure! What I viewed as extracurricular and slightly of less value requires significantly more time each day. I wasn’t seeing that my main job right now, my true “work” is my time with the kids. It’s sweeping up crumbs, reading out loud to them for an hour, focused playtime in the backyard, going on hikes, cuddling and holding and tickling and laughing. I feel that I finally let go of the guilt I feel over those things because they aren’t productive enough and I see my work with my children for what it is: the most important, most crucial, most beautiful, biggest privilege of my life that I’m determined to treasure….it’s my life’s work, my masterpiece. I would’ve said this was true before, maybe even believed it in my mind, but my inner-dialogue, my to-do list, my motivations and habits and stressors hadn’t got the memo. 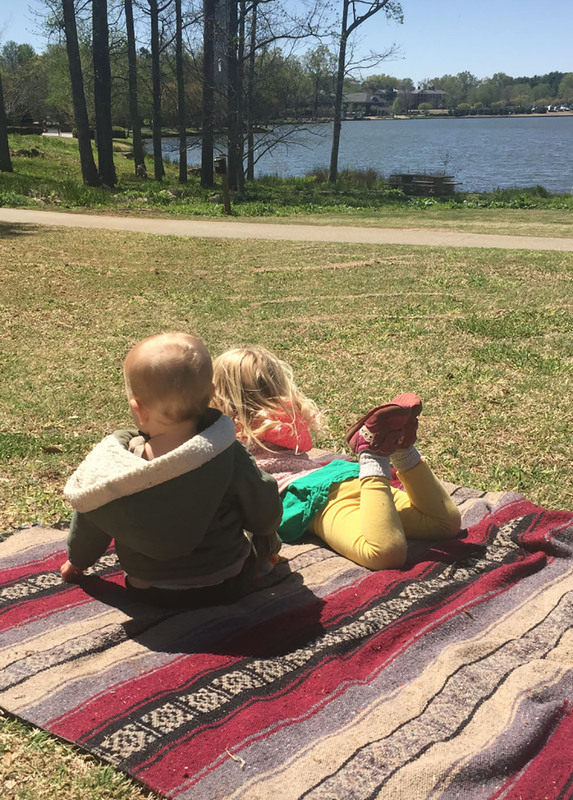 I’m excited to continue sharing how we’re intentionally making a home and doing life when time allows because as much as my perspective on mothering cleared, so did my perspective on my work here. The to-do lists that used to bog me down, the guilt over still not getting a post up has faded and I now see this as creative, purposeful work that restores my soul. I now realize that it will take continual reminders and feeding this perspective. I think even a day or two away from the noise might be good refreshers when I feel a need instead of letting my mind run down dark holes and dig myself deeper and deeper. Thank you all for making up a beautiful community I feel so blessed to get to do life with. Being away and just living a quiet life felt so good in many ways, but you all are the reason I felt compelled through prayer and discernment to stay, keep being creative, keep sharing stories, and keep learning from one another. That bit about wearing busy as a badge of honor. So true and I never saw it that way before. Thanks for the post! I don’t think you’re the only mom/creative who goes through this pendulum, so keep plowing the ground and sewing the seeds you want to grow! I can totally relate, now with two littles under 2. And I love reading how others come to beautiful conclusions. We need more of that, and less “look how perfect my home is”… so…. you’re doing great! Lindsay, thank you for writing this! You are right, so many of us needed this. I’ve been wrestling with the same…except I have the complication that I am a teacher and unfortunately, I spend most of my time during the day out of the house. I wish there was just a magic formula to make it all better…and there will be WAY more time when summer arrives. Thank you for nudging me on to continue to pray and reflect to figure out what this looks like in my own little busy life. Proud of you friend! I really like this post! 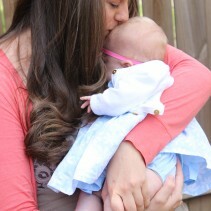 I’m a mama to be struggling between choosing work or to be the SAHM I’ve always wanted to be. I know the Lord is calling me to focus on my family and this was a beautiful reminder! This was wonderful timing to read! What books did you read during the time? Kristi, I’m cleaning out old comments tonight and totally missed this one 🙁 I read Lifegiving Home by Sally Clarkson. Was so good for my soul!!! so happy to see your post and trying to read it and really let the words sink in! I agree with what you are saying, but applying it is a whole other thing. I know I need to! I feel inspired to make some very deliberate changes after reading all that you wrote. The years are short, especially when it comes to raising our children. Thank you for sharing! Oh Sharon, thank you for your kind words! The fact that you’re on this journey is the reason I keep checking your site. Whenever you’re away for a time, I know that something good is brewing, and I just send up an additional prayer. 🙂 Seriously, I have not found anyone else who is willing to downsize to the extent that you and your family have — for the personal reasons of faith and family that you have. Because my family is in a parallel season of soul searching and paring down, I find your observations enormously helpful. We won’t all end up in the same place or find that the same strategies work for all of us, but knowing I have sweet, faithful company gives me courage. Blessings! OH Oona, your words meant the world to me tonight. I’m combing through old posts and I can’t tell you how encouraging your words were to me, seriously! I can’t even tell you how much I needed them. Thank you so much! I absolutely love what you said that when I’m away, something good is brewing. Looking back I feel like that’s totally true and I never thought about it that way! I always just feel so guilty, but gosh thank you for those words! I love every single word of this post ?? I’m not a momma yet, but I’m on my way down that path and I’ve been giving so much thought as to how I want to raise my babies and make my home and this has inspired me more than I could ever put into words. I love your heart and always look forward to your posts—I say this without wanting to put any pressure on you—I’d still be here if you only posted once a year! Haha! Thank you for putting into words what I have been feeling and wanting and needing. ?? Oh sara, thank you so much for your kind words. I cannot tell you what this meant to me tonight. I’m terribly sorry for the late response! I’m combing through old comments tonight (finally getting things together where work is concerned and will hopefully be posting more…I think!) Haha, it’s crazy what an adjustment two has been! But I needed to hear this so badly and I’m so grateful that these words meant something to you and that you’re here! Thank you for warming my heart tonight!